We are so pleased that you have taken the opportunity to visit us. We take pride in the breeding and the stewardship of one of God's most Amazing Creations - The Texas Longhorn. We have the greatest respect for all of the Great Breeders who have preceded us in laying the Superior Genetic Foundation on which we now plan and build our HCC Breeding upon. We have experienced phenomenal breeding success and sales by exploring and adhering to proven and predictable industry principles. We are blessed with the opportunity to positively effect the Texas Longhorn by breeding the best today for tomorrow's greater. 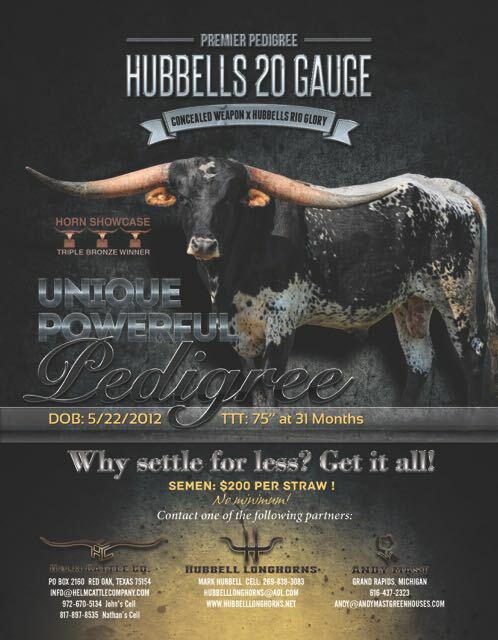 We seek and identify with the higher goals of our fellow breeders to put the best cattle possible on the ground today. We are not content with the average but we are contending for the exceptional. 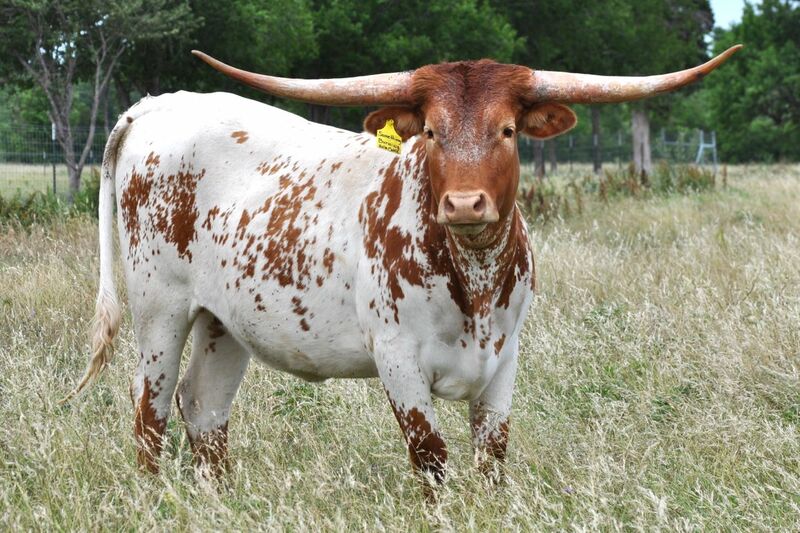 We believe when you view the cattle on this site you will see exceptional animals of careful breeding and genetic selection to produce the size, color, conformation and of course the one thing that defines a Texas Longhorn - Great Horn. Stay awhile and visit, we are very pleased to answer any question or discuss your interest in these great cattle. 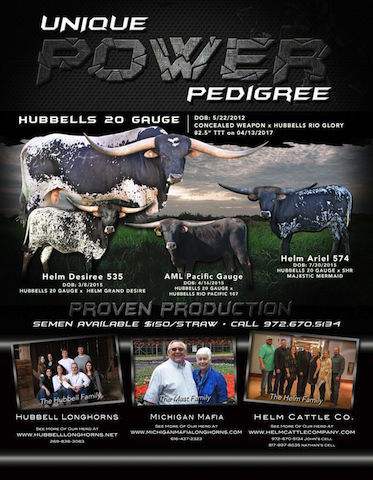 Please proceed to the bottom of this page and take the opportunity to like and follow our Helm Cattle Company Facebook Page where we regularly post timely information concerning our animals, events and sales. Owning and Breeding these beautiful animals is the Ultimate, Unique, Experience, Join us in the Fun ! May God Richly Bless You Today !